Our guide to updating PUBG Mobile will help you to keep this app updated on both iOS and Android devices. 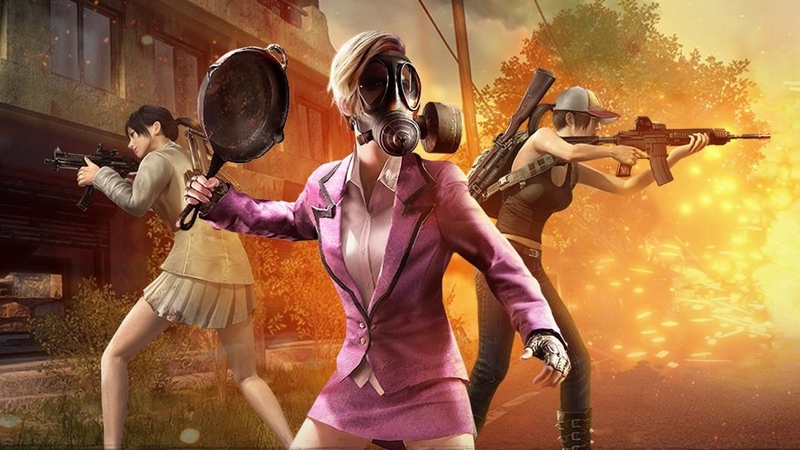 PUBG Mobile has certainly taken off, with many actually preferring the portable version to that of the main game on PC and Xbox One. This is all for good reason too. It’s officially licensed, runs smoothly and features almost everything the original has to offer. Essentially, it’s PUBG but condensed down into Mobile form. Its publisher Tencent has really gone to town when it comes to keeping the game up to scratch, with Seasons and bulky updates to keep things as fresh as possible. Mobile devices can be quite hit and miss when it comes to keeping your apps up to date, and the whole process is a quite finicky if you’re unfamiliar with the inner workings of your iOS or Android phone, tablet or the like. To strip all the fuss away, we’ve put together a guide below that’ll take you through how to update PUBG Mobile on iOS and Android so you can get to downloading all the important content whenever it’s released. When you're done here, make sure you have a read through our extensive PUBG Guide, as well as our PUBG Mobile guide as they contain absolutely everything you need to know about versions of the game! UPDATE - 20th March 2019 - It's PUBG Mobile's 1st Anniversary and also the start of Season 6! This means there's an update for you to download and a whole host of new content to sink your teeth into. Make sure you head to the official PUBG Mobile Season 6 patch notes page to get clued up on what's new in PUBG Mobile. First things first, it's important that you always update your device to the latest firmware version to avoid any hiccups. Go to your device’s home screen and tap on the App Store icon. Select the Updates icon in the bottom right hand corner of the screen. Enter your password, and click “Yes” to any alerts that pop up for specific apps that need updating. Tap Settings, followed by Your Name and then head on over to the iTunes & App Store page. Select PUBG Mobile to enable automatic downloads. Once this is done, PUBG Mobile will download updates automatically whenever something new becomes available. You can turn Automatic Downloads on or off by selecting the “Use Cellular Data” option. Tap the Menu icon, followed by My apps & games. Apps with an available update will be labeled with “Update”. If this is the case with PUBG Mobile, tap “Update All” or simply tap it specifically and click “Update”. Tap “More” (three dots symbol). Check the box next to “Auto-update”. PUBG Mobile will now automatically update when updates are available. Simply uncheck the box to disable this feature. If you've tried absolutely everything and PUBG Mobile still isn't updating to the latest version, we'd recommend uninstalling PUBG Mobile from your device and reinstalling it. This way you'll end up with a completely fresh version of the game and you shouldn't encounter any previous issues. Of course, do make sure your mobile's firmware is completely updated too. It can things as small as this which can ruin the way your apps run, or are updated. That's it for the second iteration of our PUBG Mobile update guide, but we'll continue monitoring both iOS and Android to ensure that all the info on this page still works as intended!